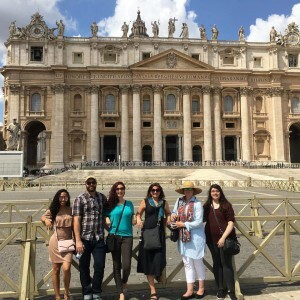 One of the most Interesting parts of our trip was our tour to Vatican City. We had a tour guide who helped us skipping the huge line waiting for entering the City and also explained historical facts and interesting things related to vast amount of art works existing there. This entry was posted in Uncategorized by farinaz_valamanesh@student.uml.edu. Bookmark the permalink.